I had first planned to attend Bouchercon 2017 when it was first announced a number of years ago. Now that it has come and gone, I thought I would share my experience with others. 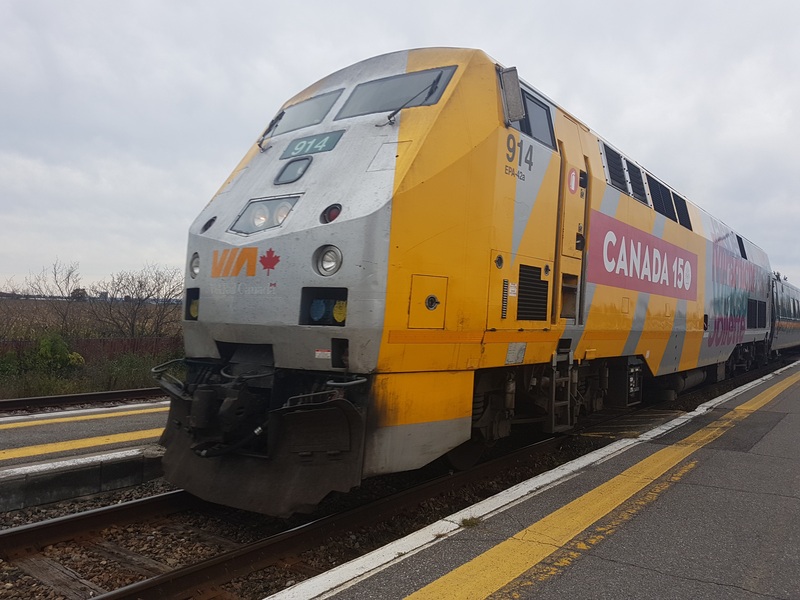 Alaina and I arrived in town the evening of Wednesday, October 11th after taking an afternoon train from Ottawa down to Toronto. 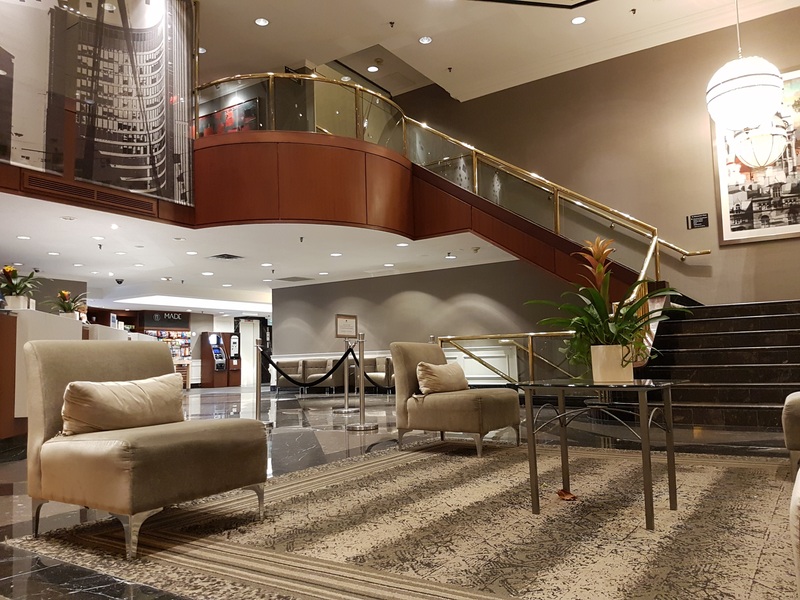 As I had some spare points kicking around on my Visa card, we booked our first night at the Hilton Double Tree, a brisk five minute walk from the convention. Upon checking in and getting our free cookie, we quickly met up with Trudi, a friend I had made a few years back through Goodreads! 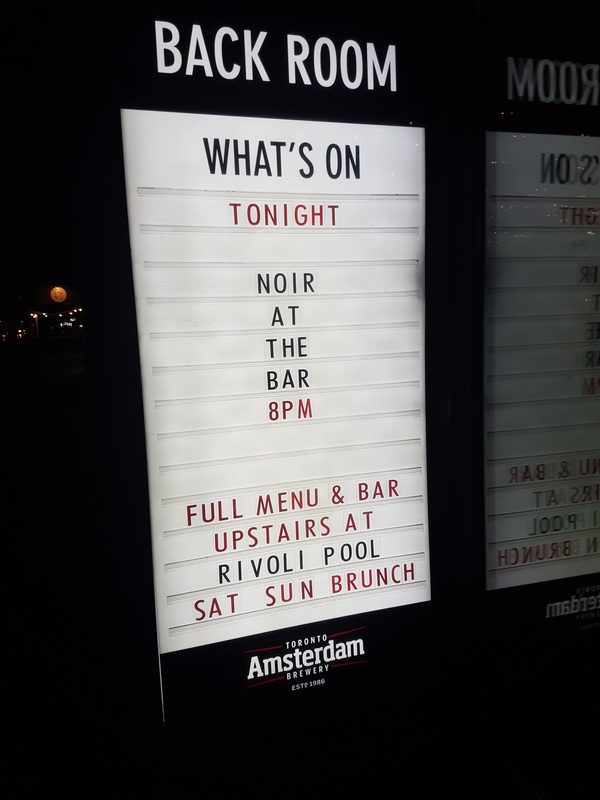 With little or no time to spare, we all hopped in an Uber and made our way over to The Rivoli for the first Bouchercon event, Noir at the Bar. The event featured ten authors reading from their works amidst a smattering of mystery writers and readers alike. Considering how late we showed up, the venue was already jam-packed with humans, so we didn’t stick around beyond the first set, choosing rather to go out in search of food. We walked back in the direction of our hotel and stopped at Cafe Crepe – a cozy restaurant that enabled my love of club sandwiches by cramming turkey and bacon inside of a grilled crepe. 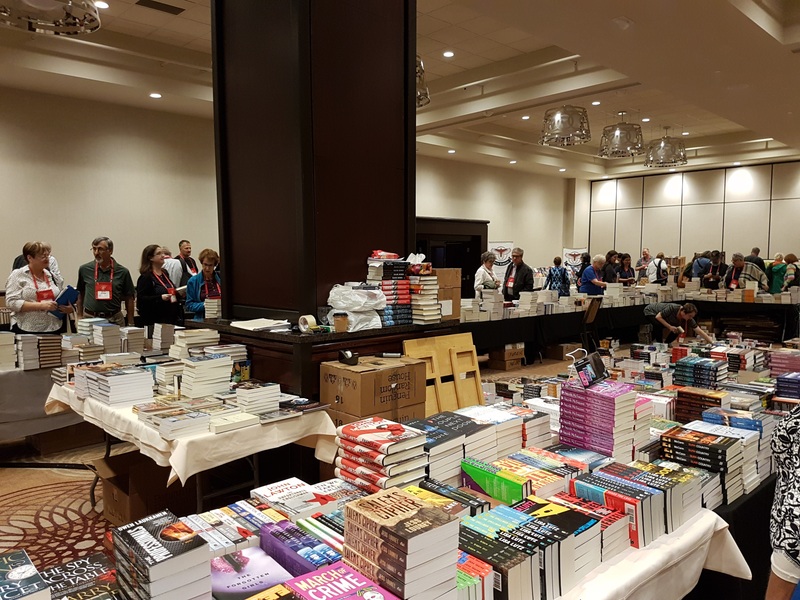 We started off day one by moving from the Hilton Doubletree over to The Sheraton Centre, the host venue for Bouchercon as well as the location of our hotel room for the four-day crime fiction festival. Seeing as we arrived at 7:30, our room was not ready, so we had to store our luggage and head off to registration to pick up our bag o’ books. With Alaina and I both attending, I had hoped that we wouldn’t be stuck with two copies of every novel. 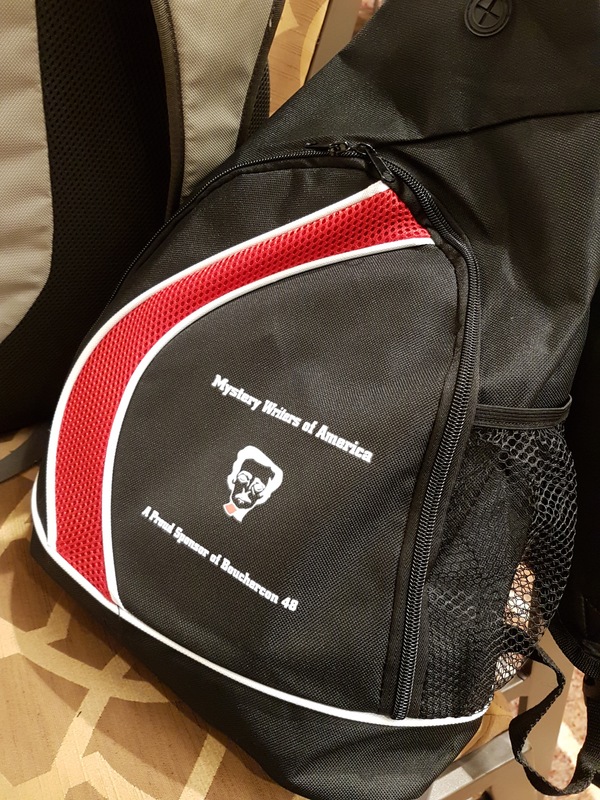 Luckily, we each received different bags. Along with three books each, we also received a nifty Bouchercon program, an Ellery Queen’s Mystery Magazine, a (publishing company) travel mug and some knickknacks. 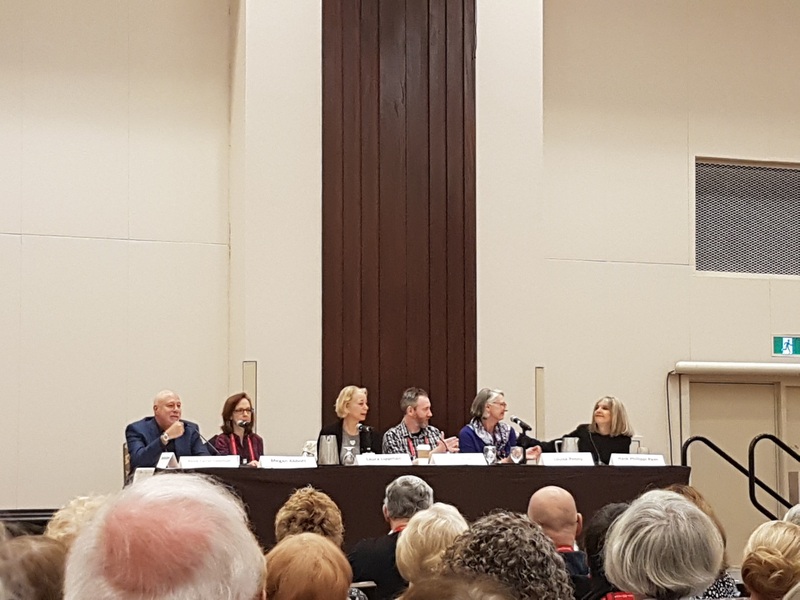 From there, we went to our first panel – Bouchercon 101. 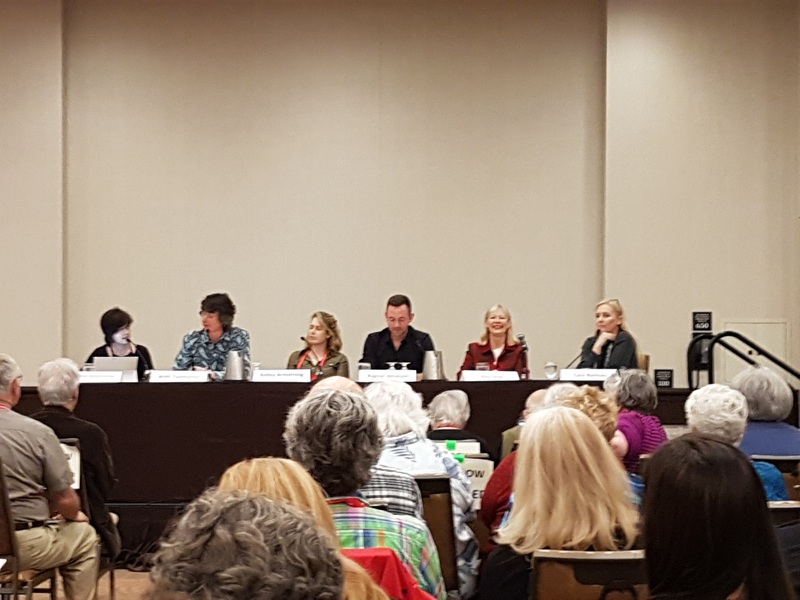 This was hosted by several Bouchercon regulars including authors Jeffrey Siger, Ruth Jordan of Crimespree Magazine, agent Erin Mitchell and blogger/reviewer Dru Ann Love. The panelists gave us some helpful tips in order to maximize our experience at the festival. Following that, we attended our second panel, “Forensic Footprints” with Detective Ed Adach of the Toronto Police Forensic Identification Services. Det. Adach went through the various ways his department is able to pull evidence from a crime scene looking only at footprints. Much was added by real-world examples of cases he had worked in the past and he was extremely enthusiastic about the subject matter. After the panel ended, I received a call that our room was ready. 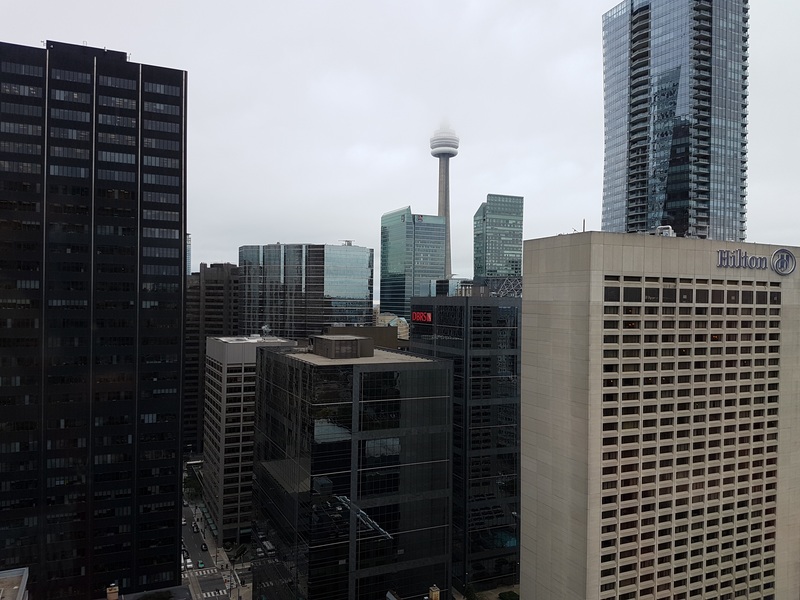 I should note that we were up pretty damn high – the 30th floor – and we had one hell of a view. After dropping our luggage off, we headed back down to join the conference where I bumped into author Chris Holm. Regular readers of my blog know that I’m a big fan of Chris’ work dating back to Dead Harvest, the first of his Collector Trilogy books. Since then, he’s published several outstanding books including, most recently, two back-to-back novels featuring Michael Hendricks, a hitman-killing-hitman tougher than a two dollar steak. It was great to finally meet Chris after chatting for a few years through Twitter and emails. 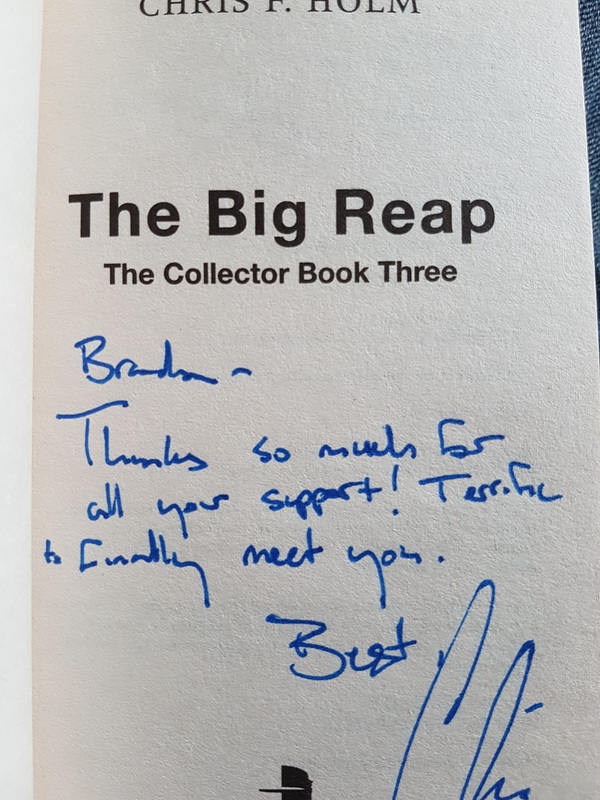 Signed Copy of The Big Reap! After we parted ways with Chris, we headed to the book room! The center of the room belonged to The Sleuth of Baker Street, a local bookstore that provided the bulk of the new novels written by the authors in attendance. Along the walls were booksellers that specialized in rare and first editions as well as pre-signed copies. While perusing the tables, we ended up chatting with author Lisa Turner, who recommended Thomas Mullen’s Darktown. We talked about her novels and she invited us to come to her panel, North v. South on Saturday. From there we attended a few other panels throughout the afternoon before heading to Shopsy’s for dinner. 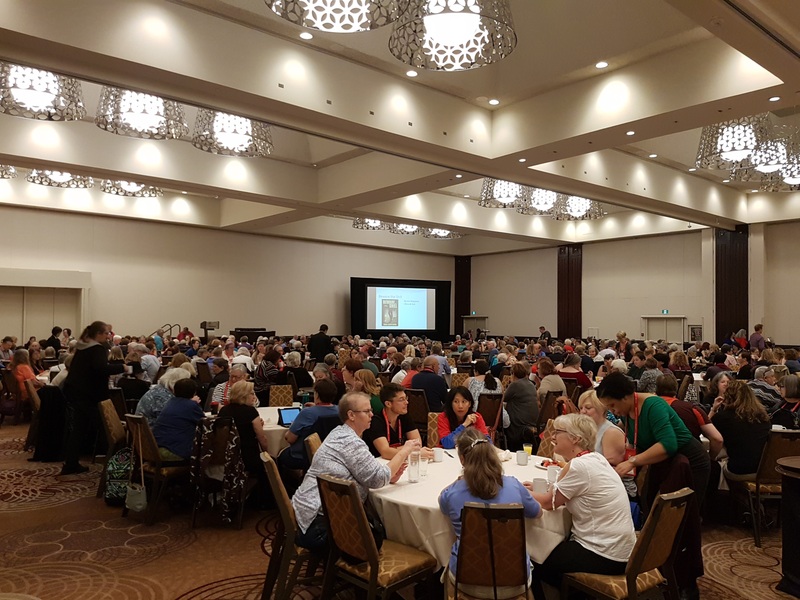 Following a brief respite to our room, we attended the Opening Ceremonies where we were treated to extremely brief speeches by the various guests of honor as well as presentations for both the Macavity and Barry Awards. Following the ceremony, we were then told of a Harper-Collins signing event the next room over. We walked in and it was a complete free-for-all! Authors were lined up behind tables on either side of the room signing free copies of their novels. This is where we ended up with the bulk of our bounty. I snagged books from Adam Sternbergh, Lou Berney, Laura Lippman, Sheena Kamal and the aforementioned Lisa Turner. With our arms full of books, we retreated to our room as the day ended. Day Two started with a panel on Violence in Crime Fiction titled “Beautiful Brutality”. Moderated by Thomas Pluck, the panel was made up of Chris Holm, E.C. Diskin, Joe Clifford, Sara Jayne Townsend and Amy Stuart. A lot of interesting discussion about the role violence plays in a genre that can be known for having its gritty atmosphere. After getting my copy of The Big Reap signed by Mr. Holm, Alaina and I split up as she attended U.K. Crime panel and I checked out the Urban Noir panel. I wasn’t all that big on my panel but Alaina had nothing but positive things to say about hers. Can’t win ‘em all though! Although I intended to check out all the Anthony Awards nominee panels, I skipped out on Best Short Story, so I could see Nick Cutter’s only panel – Tough Guys and Gals. Following this panel, I had three authors I had to track down for signings – Nick Cutter, Megan Abbott and Blake Crouch. 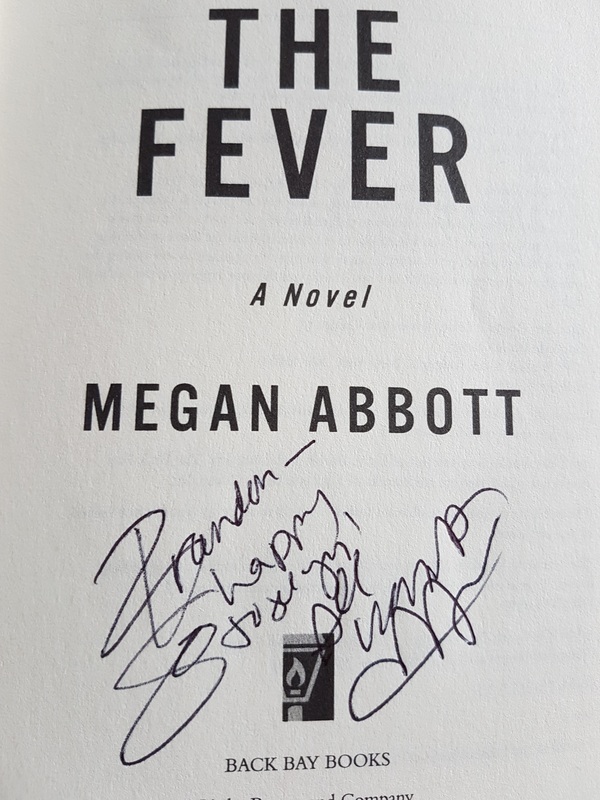 This was when I got to meet the mighty Megan Abbott! I may have held up the line – but I have no regrets. Megan and I had a chat about the new HBO drama, The Deuce, for which she is currently writing (her episode airs this Sunday, by the way). I then went to track down both Cutter and Crouch but the pesky fire alarm decided to go off (Nick/Craig did come back later in the evening to chat considering I guilted him into doing so over Twitter). I made my way to the exit but the doors to the book room closed automatically seemingly trapping us inside. I overheard Blake Crouch say, “..and this is when they release the gas”. It wasn’t long before the hotel cleared up the situation and our lives were spared. We rushed into a panel made up of true crime writers and novelists as they “mixed it up”. Contrary to the description, moderator Stephanie Gayle was quick to point out that we wouldn’t be seeing a battle royale. Although, if we did, I wouldn’t like anyone’s chances against Ann Cleeves. Up next was the American Guest of Honor, Megan Abbott, interviewed by Laurie R. King. This was meant to be Lawrence Block in the role of quizmaster but Laurie informed us all that he was at home recovering from surgery. Laurie was more than an adequate replacement as she entertained and guided the discussion seamlessly. Both were very charming and Megan had a few laugh out loud moments. Megan revealed that the time has come to move on from high school noir as her new novel, set for release in April 2018, is born from a recent obsession with laboratories and science. We then took a short break before heading back downstairs for a cocktail and dessert reception sponsored by Simon and Schuster. I ended up with a few more books from one of my favorite publishers while enjoying some chocolate cake. While sitting at a table, I chatted with a gentleman who was attending his twenty-second straight Bouchercon! A big fan of Dashiell Hammett, he told a story of meeting Mr. Hammett’s daughter as well as his playing an important part in the American Library collection of Hammett’s work. This reinforces just how friendly and approachable everyone is. There is no community quite like the crime fiction community. Saturday was the only day I was able to sleep in before jumping out of bed to attend the Best Novel Panel. The stage was filled with an immense amount of talent as moderator Hank Phillippi Ryan said that choosing a winner among this bunch would be extremely difficult. All nominees had great chemistry together making this my clear winner for favorite panel of the weekend. Your 2017 Nominees for Best Novel! We took a short break to grab some lunch and submit our votes for the Anthony Awards. I felt I was at a disadvantage here as I seem to spend more time reading older novels than I do new releases. Following that we attended back-to-back panels – one detailing stories set in Northern cities/climates and another focusing on police procedurals. Feeling burned out from such a busy Saturday, we left the venue in search of food. 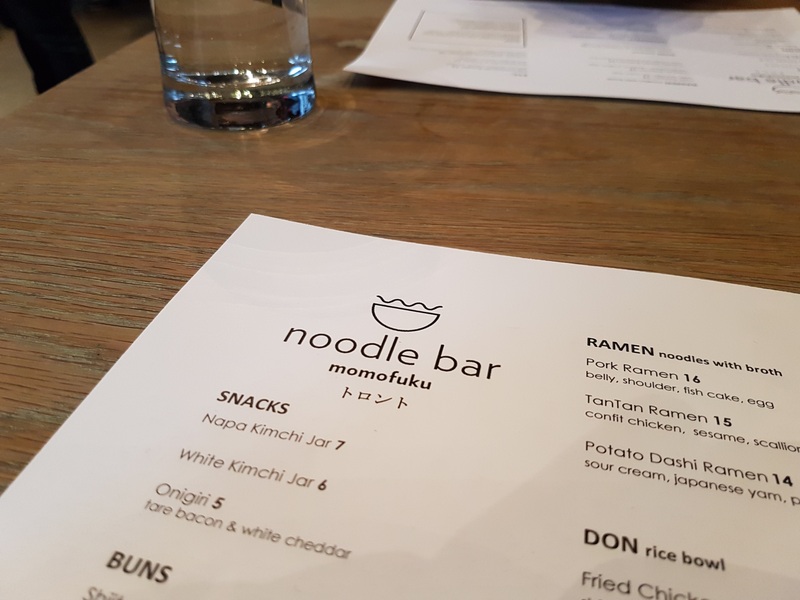 We ended up at Momofuko’s – a trendy chain restaurant serving Asian cuisine and delectable desserts. I had an excellent pair of Korean BBQ Pork Buns followed by their famous “crack pie” while Alaina ordered up the chicken confit ramen bowl. I finished up the night getting my copy of the 2017 Bouchercon Anthology signed by the authors in attendance, despite some initial confusion as to where the signing was actually taking place. There isn’t much to say about the final day, to be honest. 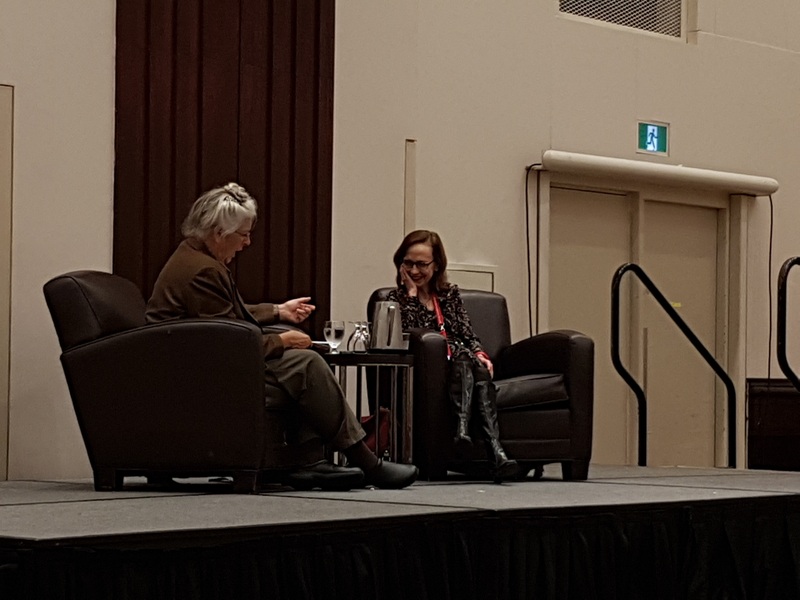 We attended only two events – the Louise Penny interview and the Anthony Awards ceremony. I have yet to read Louise’s work, but she is a born entertainer and can captivate a room with ease. Ann Cleeves had written a lovely introduction which really drove home the popularity of Louise’s work and her late road to success. 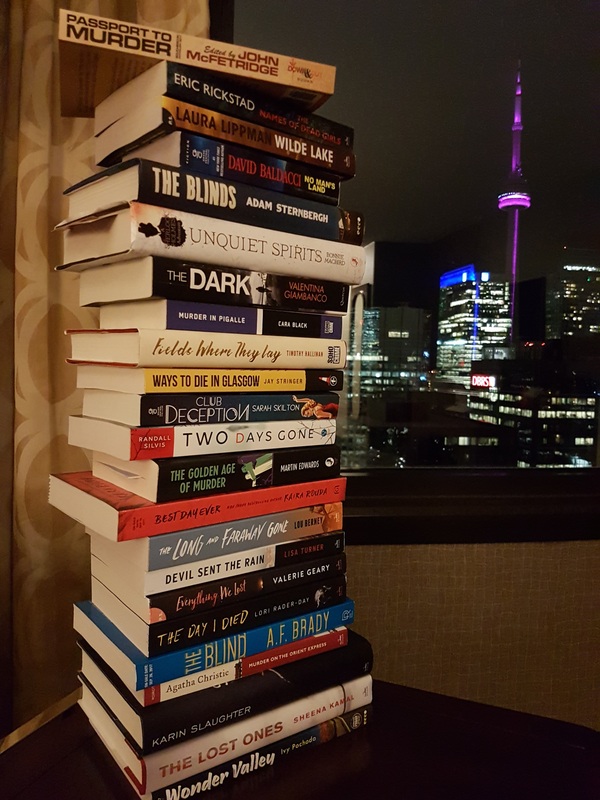 Bouchercon was an amazing experience from top to bottom. The organizers clearly put in an unimaginable amount of work to get this event to run like the well-oiled machine it is. If you’re a fan of crime fiction, you owe it to yourself to go. For a group of people – both writers and readers alike – with a mutual taste for the darker side of humanity – you will not find a friendlier, more inclusive and welcoming community.